Nuclear physicist Phumzile Tshelane is the CEO of Necsa, a position that puts him at the helm of South Africa’s nuclear research and development programmes. He was appointed as the chief executive officer of the South African Nuclear Energy Corporation SOC Ltd (Necsa) in September 2012 following a successful tenure at Eskom, where he ultimately served as acting general manager of Eskom’s Nuclear New Build Division and led the development of execution plans for Eskom’s nuclear build programme. Mr Tshelane has served at several national and international organisations at various levels refining his expertise in training, research, technical management, technology strategy, stakeholder management and nuclear project development. He has also participated in long-term national and international academic research projects. Vice-President, Nuclear Industry Association of South Africa (NIASA). Non-executive Director of NIASA, acting as Eskom representative. He also served in the finance committee of the NIASA board. Founder member and Steering Committee Chairperson of the South African Nuclear Human Asset and Research Programme. Founder member and Chairperson of the Board of Directors of the RGM School of Excellence. 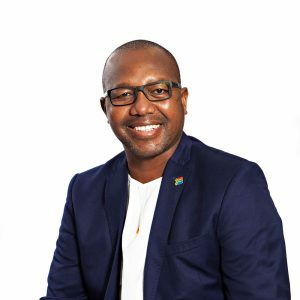 He holds a Bachelor of Science Honours (BSc Hons) and an EDP (Executive Development Programme) from Wits University, and is currently enrolled with the Chartered Finance Institute.